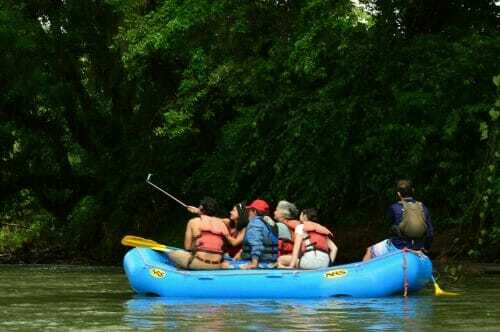 Enjoy the sights and sounds of Costa Rica wildlife with our Family Friendly Nature Wildlife Safari Float Tour from La Fortuna-Arenal. Float trip down to Peñas Blancas River. Our peace allows you to enjoy the tranquility of Costa Rica rainforest soaking in all the sights and sounds of the tropical setting. Be sure to keep an eye out for a variety of monkeys, caimans, iguanas, Jesus Christ lizards (they actually walk on water!) 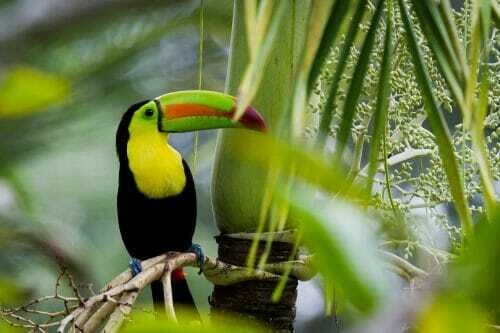 and a wide assortment of colorful bird species. 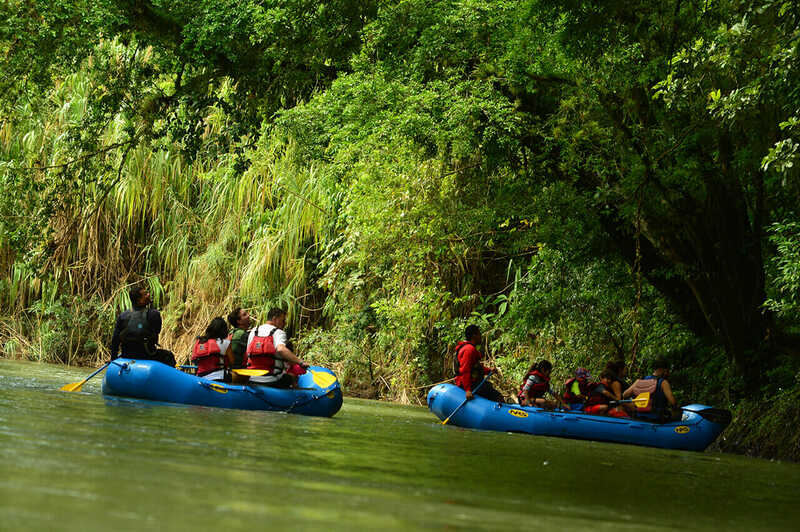 This wildlife river float trip is great for nature lovers of all ages – families will love this tour! A short 25 minutes drive from Fortuna, this peaceful, slow-flow section of the Peñas Blancas River is easy and relaxing. 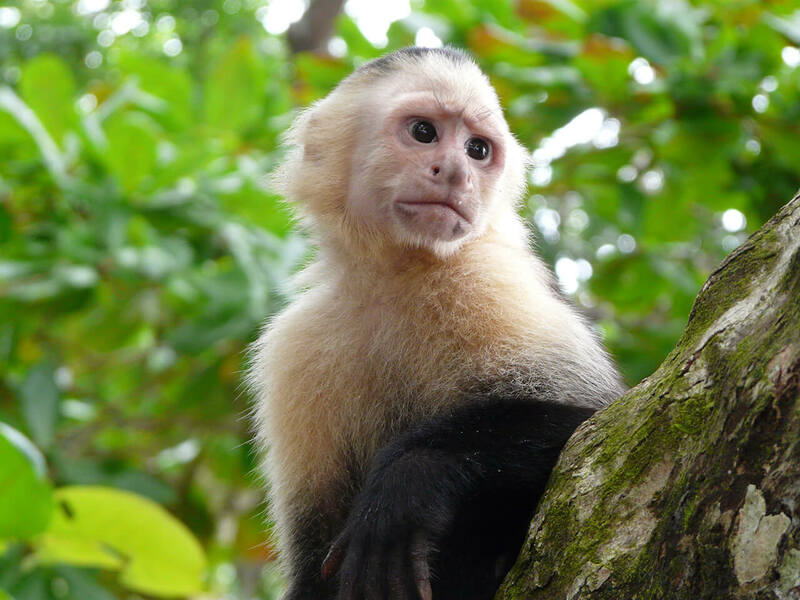 Keep your eyes on open for a glimpse of a sloth or howler and white-faced monkeys. The river is home to small crocodiles that duck in the water when you cruise past. Your naturalist guide will share local history and knowledge of the plants and animals you encounter on the float. 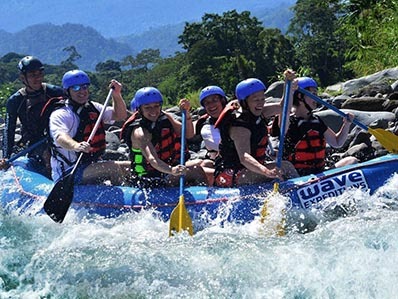 We will spend around 2 hours at a relaxing paddle pace exploring the river banks for rainforest inhabitants. 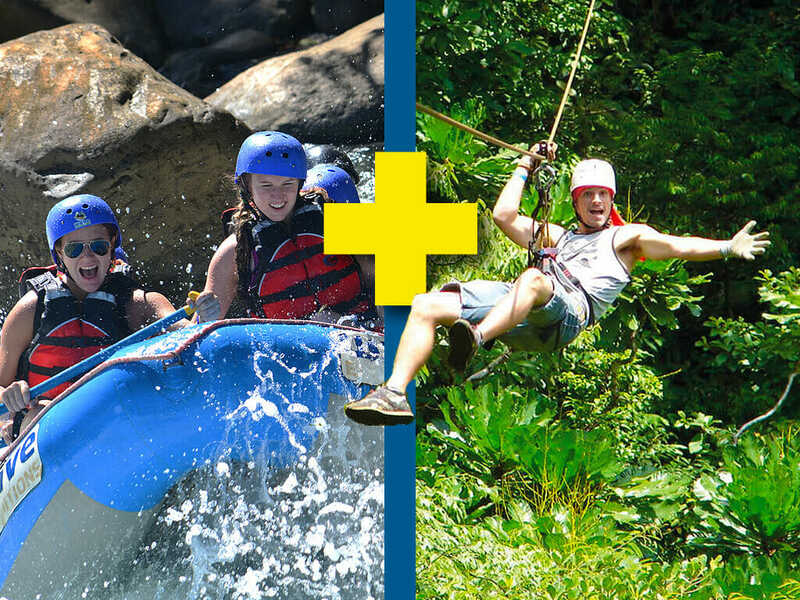 After we float down the river we will make a stop at one of the river side farms where we will refresh with a locally prepared snack and a cup of coffee before heading back to your La Fortuna hotel. Approximately 7:30am and 1:30 p.m. Approximately 10:30pm and 3:30 p.m.